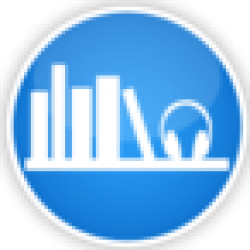 ABR's full Touch audiobook review and many others can be found at Audiobook Reviewer. 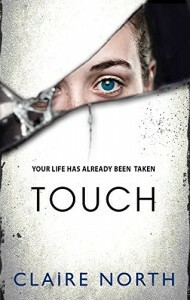 Touch by Claire North details the life of a character, well more so, a consciousness that goes by the name of Kepler.this consciousness has the ability to jump from body to body, overtaking that persons will and movements while it embodies them. It is a “ghost” and can move from person to person at will, but only with a touch of bare skin and the first jump only being catalyzed by a traumatic event. But then his latest skin, Josephine Cebula, is assassinated and not just because Kepler is wearing her skin, but because of a plot that Kepler spends the rest of the book trying to unearth to avenge her. This work is very well written and extremely descriptive. You live in the moment with this character and remember its past jumps spanning the entire world over, centuries over even. The writing itself is fantastic, and I found the narration to be all in good. Peter Kenny jumps very well from his own native British accent, to those of a Southern Bell and Turkish woman flawlessly. This work by North is truly touching and it gives a whole new meaning to the song “Under My Skin.” I could listen to this book over and over again, never once to put it down. It’ll change the way you see the human soul and consciousness, making you think deeper than just the superficial.